"Right to repair" activists are fighting to make fixing electronics yourself or at an independent shop easier — but Apple thinks that’s a bad idea. If you break your iPhone (and let’s be honest, you will eventually) and want to repair it quickly, you have a few options: Take it to the Apple Store or mail it in. But if you wanted to try to fix it yourself, you’re going to have a much harder time. Some technologists and repair industry advocates want to change that. They’re behind a movement called the “right to repair,” and they’re pushing for laws that would compel consumer electronics makers, such as Microsoft, Samsung, and Apple, to make it easy to access repair information or buy replacement parts. But tech companies like Apple think that’s a bad idea, largely over fears that such laws would reduce the quality of repaired devices. iPhone and Mac owners who live in major urban centers can easily rely on the Apple Store’s Genius Bar to replace their cracked screens. Those who live in rural areas, however, have a more difficult time getting their devices fixed, and often face long waits. Apple only provides iPhone repair manuals and official replacement parts to its retail stores and authorized service providers. So in Alaska, where there’s just a single Apple retail store serving the entire state, wait times for same-day service can be up to a week. And for those who live in Montana, North Dakota, South Dakota, Wyoming, Vermont, or West Virginia, you’d need to cross state borders to get to the nearest Apple Store that can fix a phone while you wait. These states do have authorized service providers (or ASPs), but those ASPs don’t have Apple's proprietary screen repair machine that allows for same-day service. And mail-in repairs can take up three to five business days. Of course, you could go to an unauthorized, or independent, shop (“Phones! Repair 4 Less”) that doesn't bear an official logo — and many iPhone customers do — but you’d risk settling for a screen that’s produced by an aftermarket supplier. 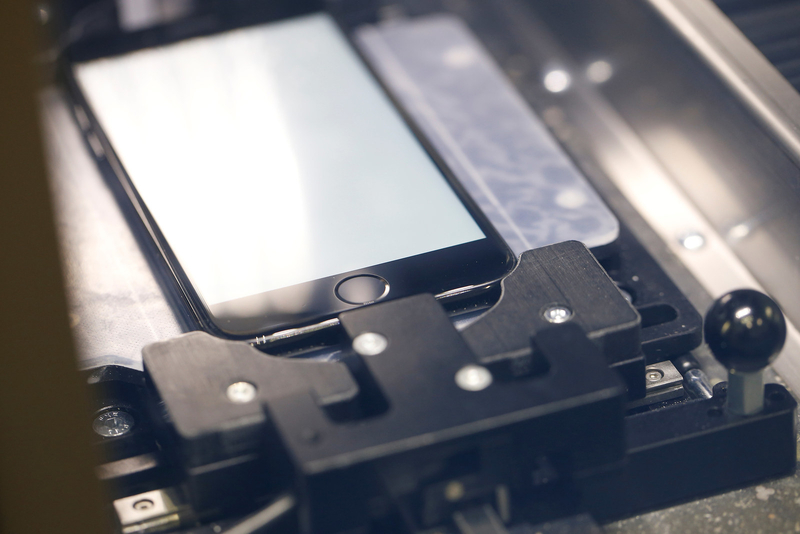 In the best-case scenario, you’d get a genuine recycled part harvested from an iPhone. This current state of product repairs — and not just for electronics — has generated much debate among consumer activists and the repair industry, enough so that some US state lawmakers have proposed bills that would require manufacturers to provide fair market access to tools, manuals, and spare parts. In March, Apple opposed such a proposal in Nebraska. Eight other states (Kansas, Minnesota, Nebraska, New York, Tennessee, Massachusetts, Illinois, and Wyoming) have also considered similar legislation. Right-to-repair legislation wants to make fixing your electronics as simple as servicing your car. Currently, thanks to automotive right-to repair laws, if your vehicle is under warranty, you can take it to a dealer. If it’s out of warranty, have the choice of taking it to a dealer or an independent repair shop. And, if something needs to be replaced, you can choose to pay a premium by buying directly from the manufacturer, or save and opt of the aftermarket product. Kyle Wiens, the CEO of iFixit, a site that publishes its own repair manuals for electronics, and Gay Gordon-Byrne, executive director at Repair.org, a coalition that works to pass right-to-repair laws, support the same type of legislation for consumer electronics, as well as just about any product that can be repaired. They, and other right-to-repair supporters, accuse tech companies of monopolizing the repair market (worth an estimated $4 billion) and making it hard or expensive for consumers to repair devices. Currently, if you’re an iPhone owner in need of some maintenance, here are your options. You can 1) go to an Apple Store, 2) go to an authorized service provider, or 3) mail in your device to Apple. A repair by Apple-certified technicians and official Apple-supplied repair parts can cost between $29 (with AppleCare+, which is an additional $129) and $149. If you need a replacement phone right away, you’d have to pay $99 with AppleCare+, or $349 without. While Apple receives much scrutiny over the issue of right-to-repair, iOS and Mac hardware support is much more straightforward than what’s available to Android users, who typically rely on cell carriers or service partners for troubleshooting and repair. Unlike at an Apple store, those affiliates often do not employ technicians with deep expertise on specific Android devices. To understand the right-to-repair debate as it pertains to the iPhone, you must first understand the difference between an ASP and an independent repair shop. According to Apple, the company is open to anyone who wants to join the ASP program. An ASP pays Apple a fee and takes a certification exam to call itself such. These shops can buy official replacement parts for iPhones and Macs, and access comprehensive take-apart and troubleshooting information. The price for repair at an ASP is the same as what you’d find in an Apple Store. ASPs also guarantee their work for up to 90 days. 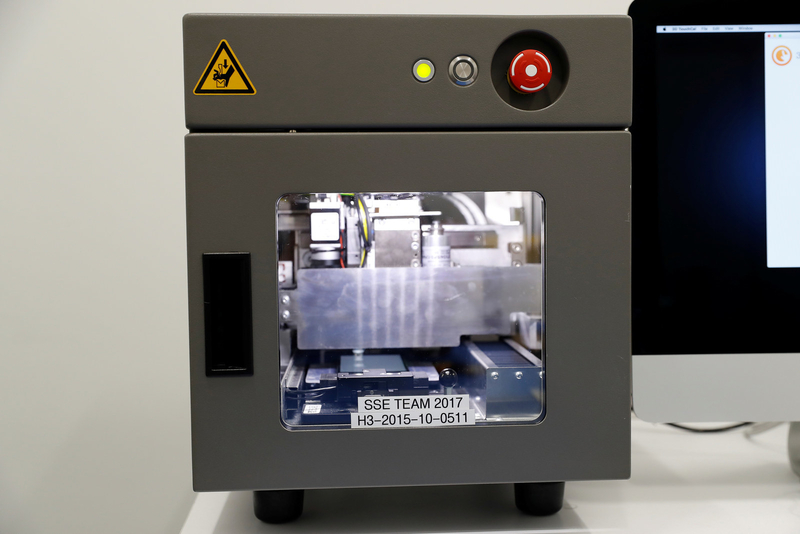 Apple has attempted to address increasing service demands by promising to deploy its proprietary screen repair machines (called the “Horizon Machine”) to hundreds of ASPs by the end of the year. Previously, providers shipped cracked iPhones to an Apple service facility to be repaired. With the new machines, select ASPs can now turn around phones within the same day, instead of taking several days. Independent shops, however, don’t have access to Apple-provided manuals, parts, or repair machines. They typically source replacement pieces from “aftermarket” suppliers, or Apple suppliers who sell goods under the table. There are plenty of knockoffs too, made with varying degrees of quality, by third-party manufacturers. These unauthorized shops may also use official parts, purchased from ASPs, who buy wares directly from Apple and sell them on the open market. Some technicians also take apart new devices and repurpose those genuine Apple parts for repair, but there’s no guarantee that the independent shop near you will have these official parts. This is all so complicated because Apple really doesn’t want you or Technician Jane down the street to mend your phone, and two company executives explained why to BuzzFeed News. The iPhone maker maintains that “geniuses” at its retail stores and certified technicians at ASPs are how the company can ensure its products meet their standards. “There’s a really vibrant used market where you can easily see that iPhones retain way more value than any other phones — when they’re fixed right, safely, and securely,” said Greg Joswiak, Apple’s VP of iOS, iPad, and iPhone marketing. A demonstration in a recent paper by researchers at Ben-Gurion University of the Negev shows how replacement screens can be hacked to log keyboard input or install malicious attacks. In addition to security concerns, Apple says that some of its repairs are technically challenging, especially those that deal with the iPhone’s proximity sensor, which disables the screen when it detects you’re holding the phone to your ear during a call. Removing and then replacing the sensor is necessary for repairing cracked screens, the most common type of service requested. Wiens admitted the sensor cable is “finicky and tricky to get installed correctly,” though the iFixit CEO said it is more a matter of running a quality-control test after the repair, and reinstalling the sensor cable if it is not implemented properly. Even still, Wiens claims that many iPhone repairs are easy enough for most people to do on their own. According to Wiens, the site’s repair guides help a million people a year fix their iPhones, and its instructions are written for those who have never taken apart an electronic gadget before. “As long as you have the willingness to take your time and follow the instructions, no technical expertise is required,” Wiens claims. Many of the tools required to tinker with Apple’s proprietary hardware is sold by iFixit and plenty more options are available on Amazon. iFixit even offers a Lifetime Warranty on all the replacement parts (including screens, speakers, and cameras) it sells, except for batteries, which have a limited lifespan. And as of early 2017, if your iPhone needs nonscreen maintenance (like a battery replacement) and you have a third-party screen, Apple will still respect your warranty if you take it in after doing repairs yourself or through an independent shop. Though, if you crack your third-party screen and want to replace it with a legitimate screen at an Apple Store, you’ll pay the out-of-warranty $149 price. So, if you can easily get high-quality replacement parts for the iPhone and repairs are easy enough to DIY: What’s with the brouhaha over letting you repair it on your own? The short answer is: It’s still really hard to get your hands on official parts, and it would be a lot easier for independent technicians and at-home tinkerers to ensure they’re using a legitimate screen if they had the option to buy one directly from Apple. “There’s nothing wrong with Apple authorizing third-party shops. But there ought to be authorized and independent options,” said Wiens. Furthermore, many right-to-repair supporters say that the real issue is that repairability is better for the environment. Last week, Repair.org published a report that claims US electronic standards focused on recycled plastics and energy efficiency are outdated — and that one way to move stalled environmental progress forward is by designing products for repair, reuse, and disassembly, which may help electronics last longer, and stay out of landfills. “Durability is about how it’s designed, the fact that [its software] can be upgraded easily, that there are authorized centers that can take care of things like display,” said Jackson. It’s a complicated debate. Manufacturers see opposing right-to-repair legislation as a way to protect their customers, while right-to-repair activists think customers should have more choice. On the one hand, consumers want pocketable, svelte devices packed with power, and manufacturers are responding by designing hardware with the slimmest bodies possible. Often, that means using materials like glue, and techniques like soldering parts to the logic board, which render devices irreparable. And manufacturers like Apple also aim to deliver the highest quality possible to consumers, so it’s understandable why companies want to prevent subpar devices from hitting the market. On the other hand, you own these devices, and right-to-repair advocates think you should be able to fix them on your own terms: either by yourself or by going to an independent shop of your choosing.